The highly anticipated meeting between Maine Mendoza a.k.a. Yaya Dub and Alden Richards almost happened on Eat Bulaga's episode today,August 12. Maine was competing in the show's Bulaga Pa More: Darbarkads Pa More segment while Alden took the challenge given by Lola Nidora in order for him to get his chance to meet Yaya Dub. Unfortunately,Alden and Yaya Dub failed to meet each other when the latter ran away from the Broadway Centrum after her performance. AlDub fans have mixed reaction when it was different from what they expect,nevertheless,they still have learned a lesson from Lola Nidora who told not to quickly jump into a relationship. "Lahat ng bagay dapat pinaghihirapan, lahat ng bagay dapat pinagsusumikapan at lahat ng bagay may tamang panahon." 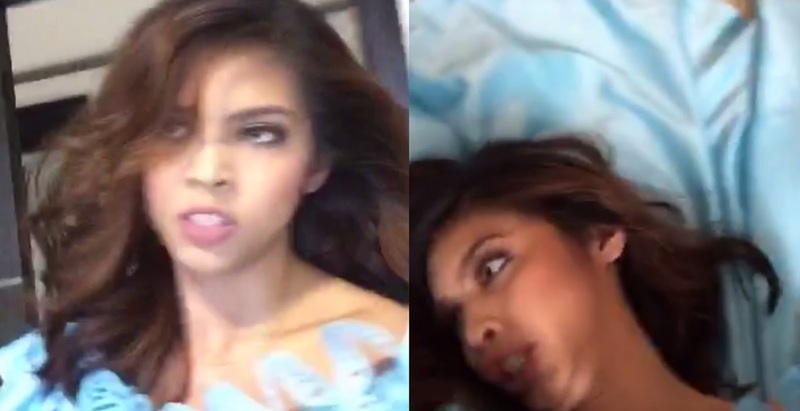 Moments after,Yaya Dub took to twitter and shared a video for her fans with a captioned:"Hopia #AlDubNotThisTime"